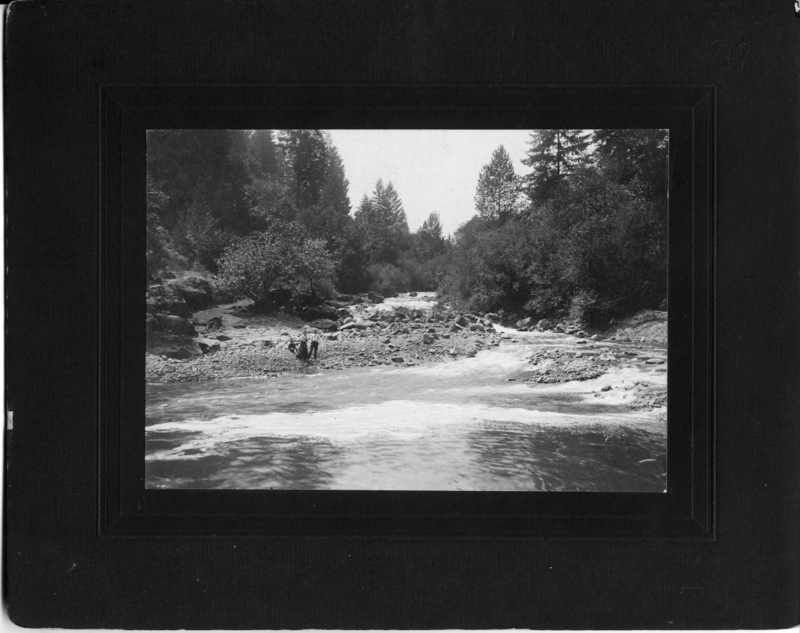 Below the dam at Oswego, 1910. Oswego Creek. OA#95. Transcription Below the dam at Oswego, 1910. Oswego Creek. OA#95.